Complete the summer accessory package with a MasterTop Tonneau cover. These custom rear vehicle covers protect your belongings from the weather and keep your valuables out of sight from prying eyes. Constructed of Durable OEM Approved Soft Top Fabric, each Tonneau is custom fit for your Jeep and features sport bar “sleeves” that secure around the sport bar. 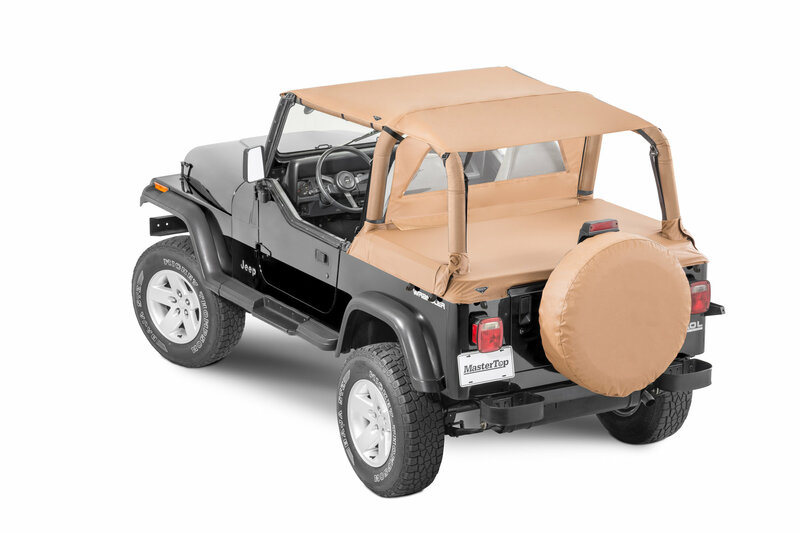 Though not completely waterproof, these durable rear vehicle covers attach to your factory belt rail/tailgate bar system and fits over your soft top hardware on 92-95 Wrangler models (will not fit 92-95 Wrangler hardtop only vehicles). 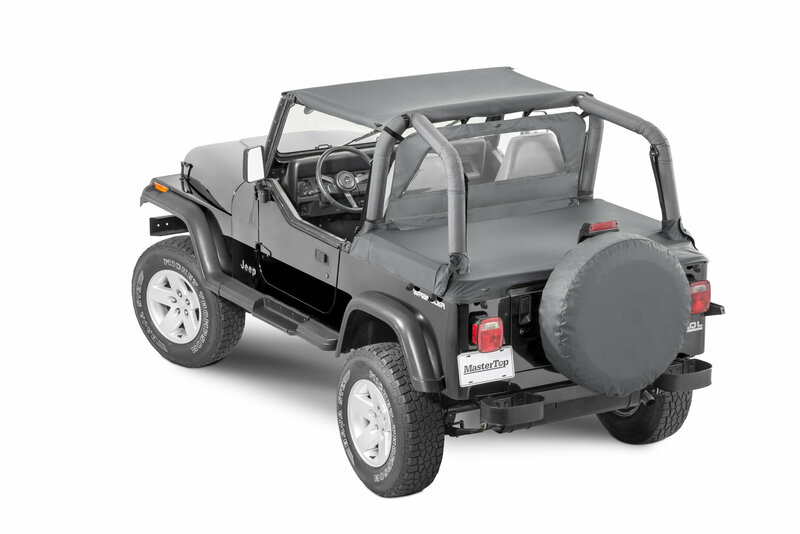 Each MasterTop Tonneau incorporates a front facing zipper attachment for use with a MasterTop Wind Stopper to create the ultimate summer soft goods combo. Available in Black Denim, Spice Denim & premium Black Diamond & Spice Diamond materials. All MasterTop Diamond Tonneau covers use up-graded 28 oz Sail Cloth fabric for the ultimate in durability and great looks. This is a MasterTop exclusive feature found in no other aftermarket summer soft top! Excellent quality, great fit, same for MasterTop Bimini Top Plus. See picture, green '92 wrangler with bestop sunrider hardware folded down but with front folding bar removed.